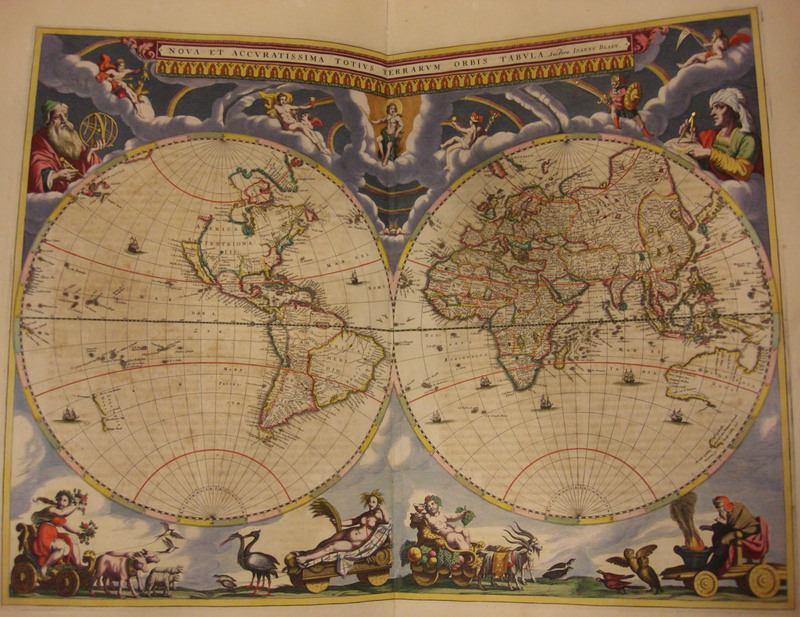 Fresh into the new year, Associate Professor Francesca Fiorani brought her January Term class, Mapping the Globe from Ancient Times to Google Maps, to Special Collections to take advantage of our extensive map collection. 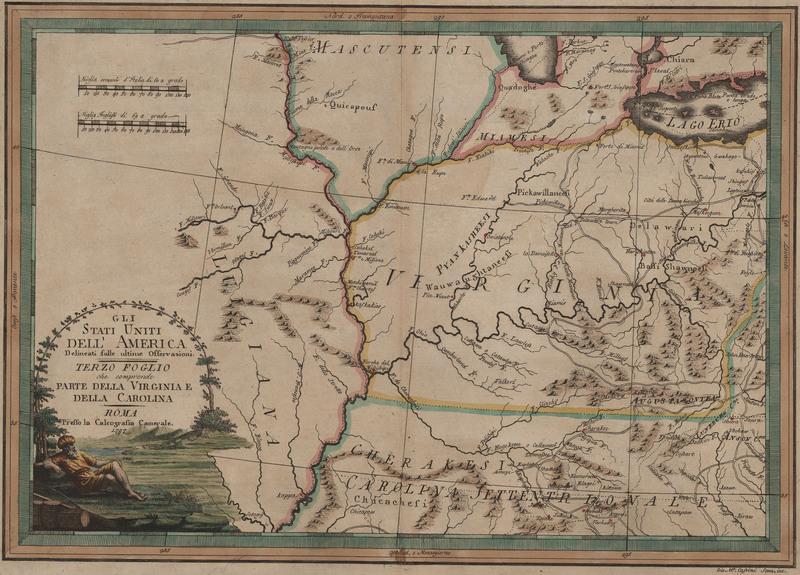 This particular course focused on the visual, linguistic, political, and religious rhetoric of maps and map making. 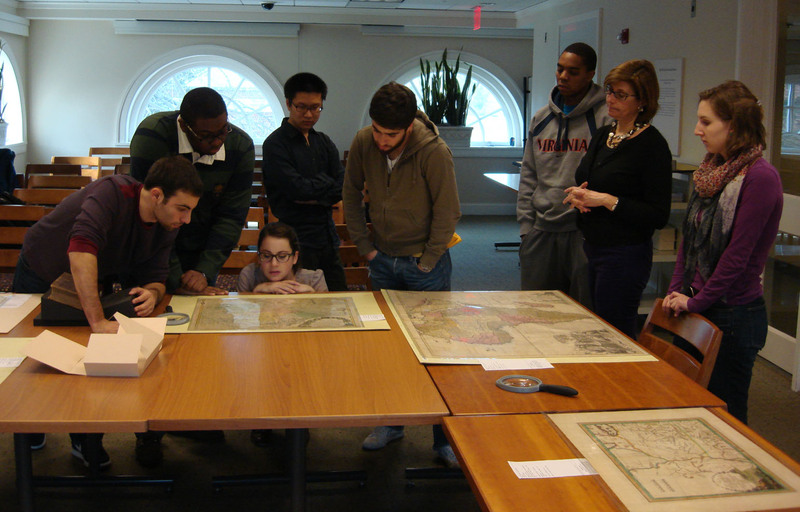 Professor Fiorani’s engaged and intense group of students spent six sessions in Special Collections, examining, thinking about, and challenging themselves and their classmates while studying some of our most exquisite maps. The class later went to the University of Virginia Library’s Scholars’ Lab to explore Geographic Information Systems (GIS), which captures, analyzes and displays maps electronically. 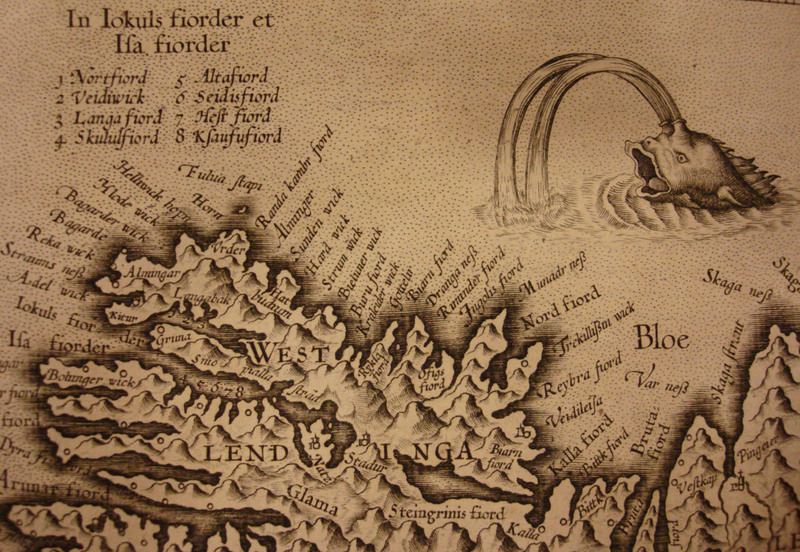 This entry was posted in Instruction and Outreach and tagged class, January Term, maps by Petrina Jackson. Bookmark the permalink.